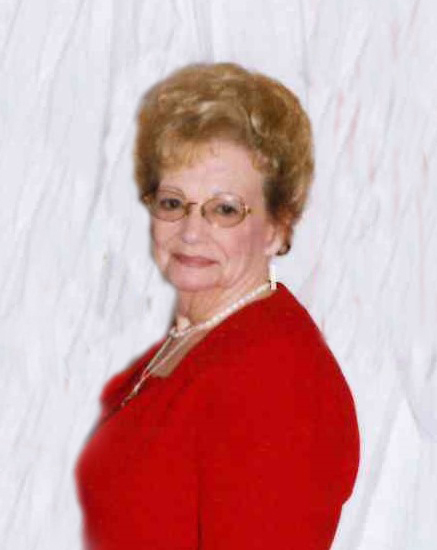 Mrs. Mary Ellen Osborne Eller, age 80 of Jefferson, formerly of Adelphi, MD, died on Wednesday, January 30, 2019 at Ashe Assisted Living. Mrs. Eller was born on August 19, 1938 in Ashe County to Ottis Osborne and Gail McCoy Osborne Price. She was preceded in death by her parents and her husband, Teddy Allen Eller. Mrs. Eller graduated from Riverview High School and was an avid duck pin bowler in her younger years. She attended Riverdale Baptist Church in Maryland, where she served as the Sunday school secretary. She was a member of Fletcher Memorial Baptist Church. Mrs. Eller was a member of the Riverview Red Hatters and always had a wonderful time. Her greatest joy was being a wife, mother, and grandmother. Mrs. Eller is survived by: one daughter, Rhonda Kregel and husband John of Mechanicsville, VA; two sons, Bobby Eller and wife Sharon of Silver Spring, MD and Billy Eller of Dunkirk, MD; two sisters, Bobbie Jones of Warrensville and Hazel Walker of Creston; two brothers, Jack Osborne of Creston and Mack Osborne of Lenoir; four grandchildren, Emily Kregel, Michael Kregel, Sergeant Joshua Eller, and Kathryn Eller; also surviving are several nieces and nephews. Funeral services will be held on Saturday, February 2, 2019 at 3:00 pm at Ashelawn Memorial Chapel by Rev. Doug Halsey and Rev. Cory Halsey. Burial will follow in Ashelawn Memorial Gardens. The family will receive friends from 2:00 pm to 3:00 pm on Saturday, February 2, 2019 at Ashelawn Memorial Chapel. In lieu of flowers, memorials may be made to Fletcher Memorial Baptist Church, P.O. Box 65, Jefferson, NC 28640 or the Alzheimer’s Association, Mountain Regional Office, 31 College Place, Suite D-320, Asheville, NC 28801-2644. Ashelawn Memorial Chapel & Gardens was entrusted with Mrs. Eller's arrangements.